Workout update: I’m trying ClassPass (again)! Years ago I did ClassPass (in Chicago) and absolutely loved it. Then, when we moved to Seattle, I stopped my membership because I simply was too pregnant and busy to try out different gyms. Not to mention, I wasn’t familiar with the area and ClassPass in Seattle had gotten really expensive for how much I used it – which was only a few times per month. So, I tried out different gyms and paid per class, which worked for me. Most recently I tried out Title Boxing and was a member for a few years there. I absolutely love boxing workouts and highly recommend that particular gym to anyone looking to get stronger and work on some cardio in the process! However, I’ve recently decided that I don’t go to boxing class enough to justify the price – mainly because they only offer classes a few times per day that I could actually go to, and it’s hard to leave my house at 6am or 7pm! Working out around Tim’s work schedule is challenging, to say the least. So I thought I would look at ClassPass again, just to see if there were any gyms nearby to our new house. And I was so pleasantly surprised by what I discovered! (Note: this post is completely not sponsored, but there are affiliate links if you want to try ClassPass for a big discount on your first month. Maybe it’s even free? I’m not sure. Just click away and see.) ClassPass has completely changed their membership structure. Now, instead of paying for unlimited classes, you can pay for ‘credits’ which can be redeemed at gyms/classes. For instance, with ClassPass in Seattle you can pay $35 for 20 credits (2-4 classes), $50 for 30 credits (4-6 classes), $100 for 60 credits (8-12 classes). 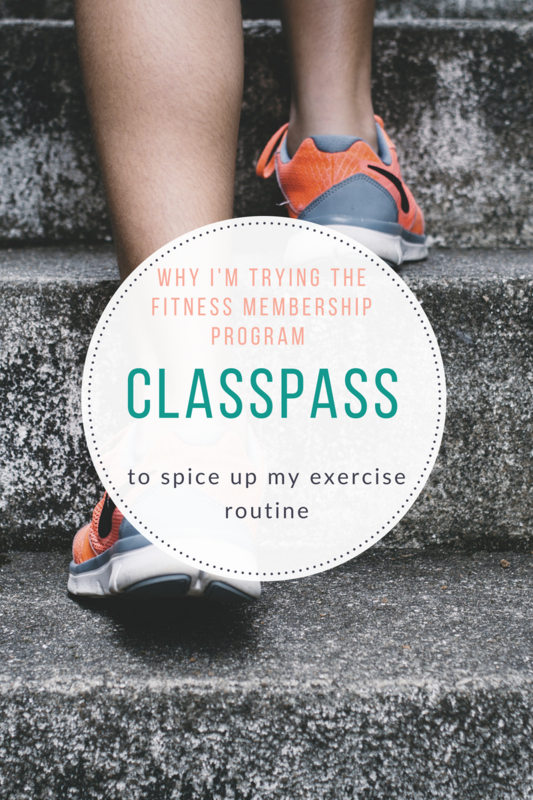 I think this has made ClassPass way more accessible to people who work out semi-infrequently! Unfortunately for me, most of the classes are in the actual city of Seattle (and we’re moving about 20 minutes north of the city), but I still think I’ll be able to make it to a few classes per month! I’m excited to do more barre and yoga classes, but have already seen a few dance and strength classes I may try out. I wish ClassPass had been around when I traveled 100% for work because I would have been able to workout easily in any city I traveled to! One of my favorite features of ClassPass is that I can see all of the workouts (filtered by location and type of workout) at a specific time of day so I can choose the one I most want to do around my specific schedule. It’s so much easier than looking at individual schedules at all of the yoga places in the area! This entry was posted in health, working out and tagged classpass, exercise, health, working out. Bookmark the permalink. 4 Responses to Workout update: I’m trying ClassPass (again)! I haven’t done ClassPass since my month-long trial a million years ago, but I think the new credit system makes a lot of sense! It sounds a lot more flexible, which makes it a lot more appealing. Plus $35 is super affordable compared to what some studios/gyms want from you! Awwww YES! I really do love the new system. It might be nice for you if you want to do some yoga or other ‘fun’ classes to supplement your marathon training!